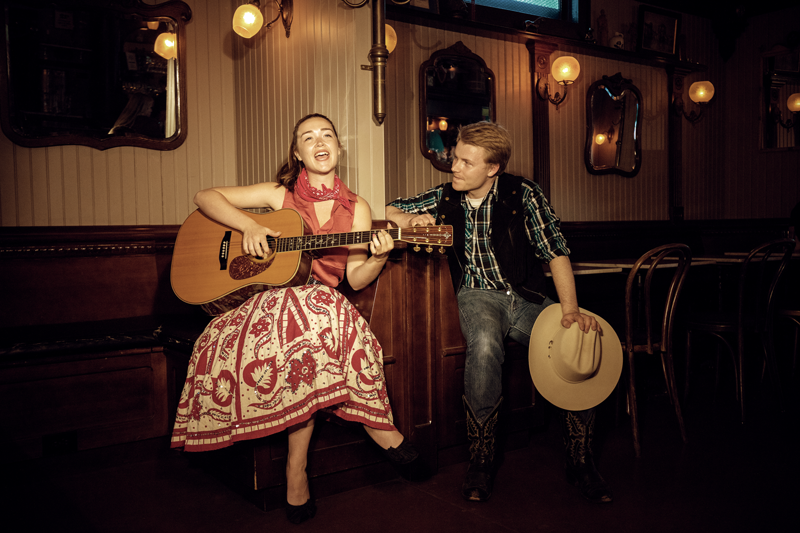 3 Girls Theatre transforms Z Below into the intimate, down-home east Texas Crossroads Bar for an all-new revival of Lee Brady’s beloved country music romance. Bring your friends and family and raise a glass to the story of Callie and Lonn, whose passionate teenage love affair was shattered by the very public tragedy of Callie’s parents, country music legend Cash Callendar and his much-wronged wife, LouAnne. This musical is a country song—about true love, success, betrayal, the slings and arrows of outrageous fortune–and the joys and perils of a classically doomed romance. An evening of surprises, passion and fireworks! 3GT practices Radical Hospitality, no one is ever turned away for lack of ability to pay. Unsold tickets are available at the door on a pay-what-you-can, first-come-first-served basis. If you have the means, please consider a DONATION to 3Girls Theatre Company. Renowned Bay Area director Andrea Gordon has long been recognized as a pioneer in site-specific productions. In 1992, she staged a highly successful production of Saroyan’s “The Time of Your Life,” at Spec’s on Saroyan Alley in North Beach. Gordon–whose work includes a long list of traditional productions at Marin Theatre, Magic, Berkeley Rep et al. –loves jolting audiences with old works done in a new way. Award-winning playwright Lee Brady, a founding playwright of 3Girls Theatre and doyenne of the Bay Area theater community for half a century, is well known to Bay Area and Monterey Peninsula audiences for her racy wit and sparkling story-telling.